Over 2.2 million Americans fly every day, according to Airlines for America. Whether they are heading to a Disney-themed family adventure or jetting off for a romantic rendezvous, the most indispensable companion for many of these modern, mobile travelers is their smartphone. A recent survey by Gogo Inflight Internet found that 81 percent of travelers want to stay connected while inflight. Check your airline before booking. Though you’ll now find inflight Wi-Fi on most airlines, not all flights may be equipped to offer it. Other tech amenities, like USB ports and in-seat power outlets, vary from airline to airline and even plane to plane — and can be limited to premium seating. If staying connected is important to you, take the extra step before booking to make sure Wi-Fi is available on your flight and confirm amenity options for your seat. Try a travel-friendly phone plan. Some wireless providers are better for travelers than others. So, it’s worth doing a little homework to find your best option. For example, T-Mobile customers can use their phones to send text and picture messages, use apps like WhatsApp and iMessage, and check visual voicemail for free on all US flights equipped with Gogo Inflight Internet. They also get an hour of free internet access to surf the web and check email or social media though Gogo. And, T-Mobile ONE Plus customers get unlimited Gogo Internet on domestic flights. Download your fun beforehand. If you like streaming video from services like Netflix and Amazon Prime Video, it’s a good idea to download movies and TV shows onto your device before boarding. The same is true for music. Be sure to save your favorite tunes and podcasts for offline listening, so you’ll have easy access to your favorite music, news and audio entertainment. Optimize your email. Finally, consider using web-based email (webmail) instead of on-device apps. That way, you’re not waiting for messages to download while away or inflight. Alternatively, you can set your email app to download headers instead of the full message for quick and easy scan-ability and downloads. If you want to send mail with big attachments, like pics or video, be sure to compress your files. This will make for quicker, lighter uploads and keep email from getting stuck in your outbox. 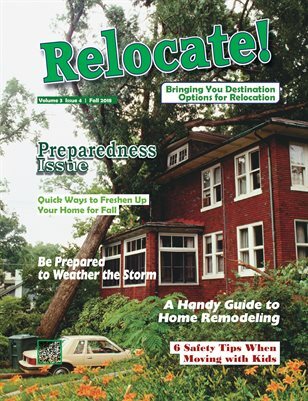 Click the image to read our past issues--our digital editions are free!